Home » Dessert » Costa Brava - Caramel Cake, Anyone? 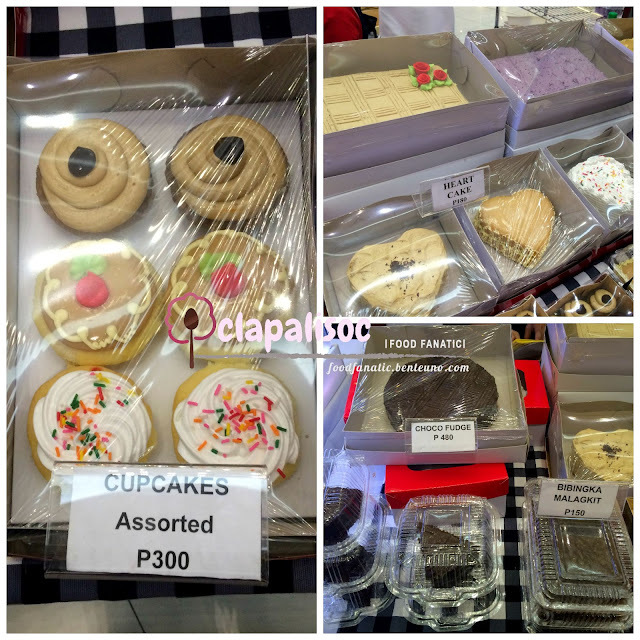 I was looking for dessert to bring to my daughter's family day in school and I found myself checking through the stalls in SM Aura's weekend gourmet market. 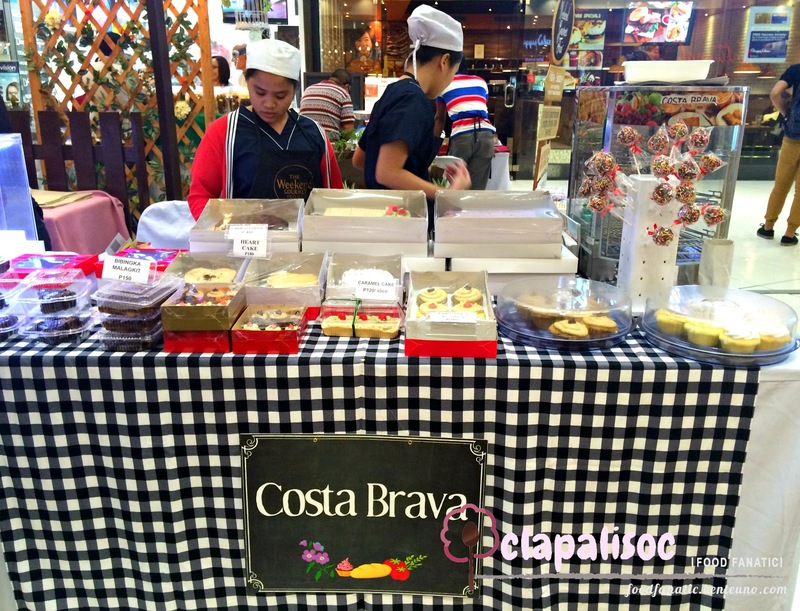 I saw Costa Brava and it was what I went for. Been meaning to try their Caramel Cake. Noticed that they only had one size for the cake but they offered individual serving and some cupcakes too. I got the whole rectangular Caramel Cake, 7x9 inches. Two layers of soft and fluffy sponge cake with generous caramel filling in between the layers. The sponge cake was too soft that it had the tendency to topple over. It was too airy, I guess. 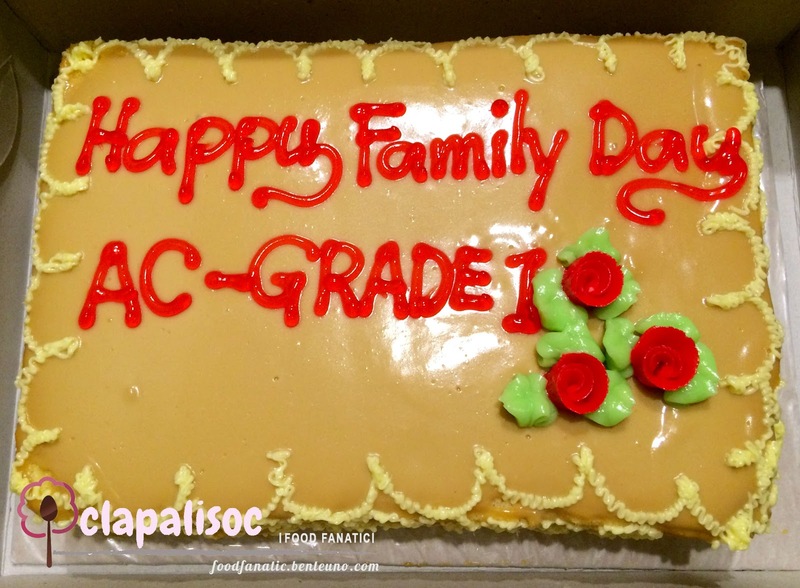 One thing that I liked about this cake was that it wasn't too sweet. It was also covered with a blanket of more caramel frosting. You can request for dedication! Though this was good, I still prefer Estrel's. Comparing, Estrel's had a more milky and luscious caramel sauce frosting that was richer in taste with more quality sponge cake. Also, Estrel's frosting was generous while this had just enough to cover the cake. 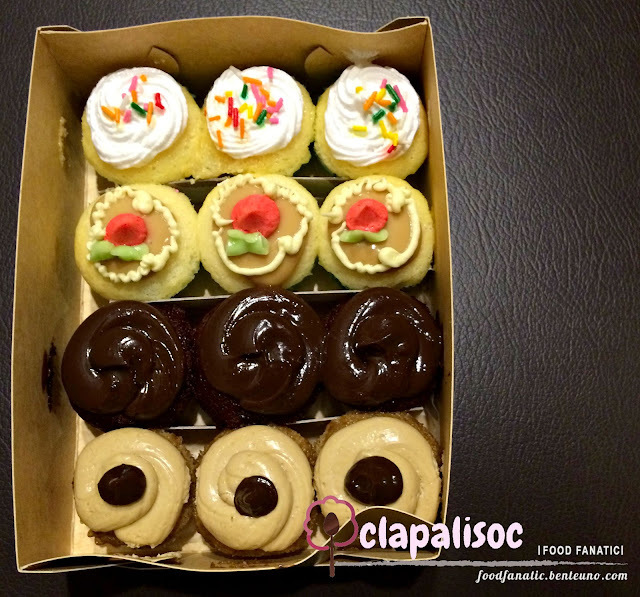 I also got a dozen mini cupcakes with assorted flavors too. There was lemon, mocha, caramel and chocolate. I prefer my cupcakes moist and not spongy dry. These cupcakes lacked in flavor. 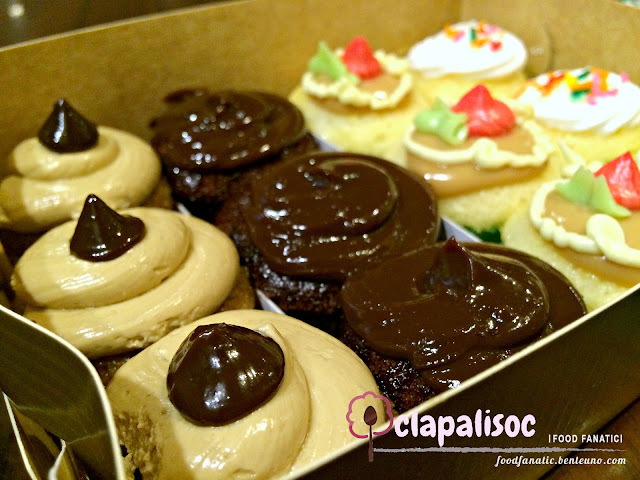 If I were to rate these cupcakes alone, I'll give them just 3 Stars. Look at that cupcake! Too airy and spongy for my liking. Lemon - I liked the lemon flavored filling in the middle of the cupcake. Icing was marshmallow with candy sprinkles. 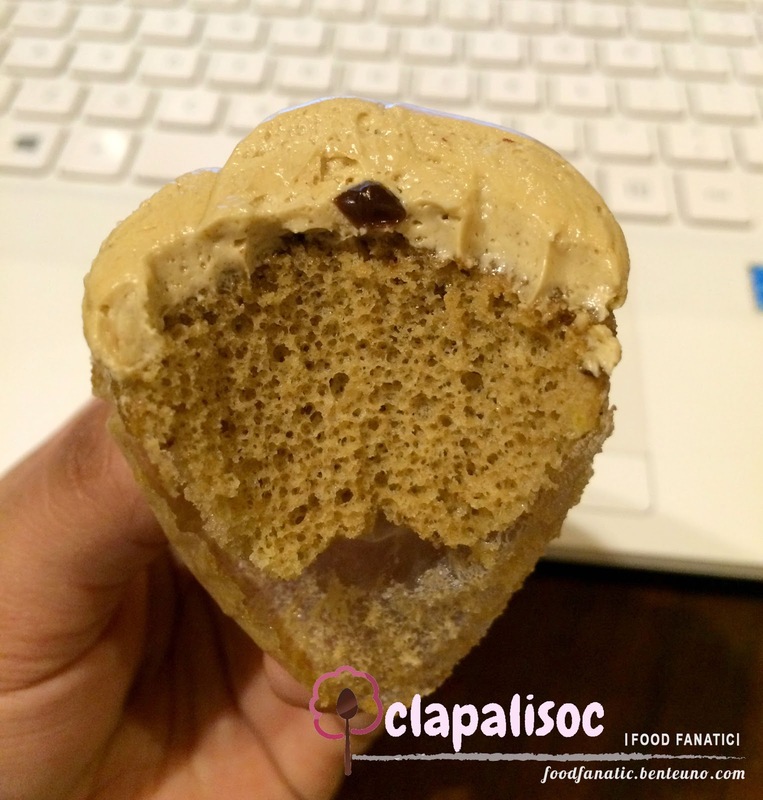 Caramel - Vanilla cupcake with just a dollop of caramel frosting. Could have been better if there was more frosting. Chocolate - This could have been knock out if the cupcake was moist and full instead of airy sponge because the chocolate frosting was really really good. Thick, rich and chocolaty! Mocha - This was okay. Could have used more chocolate and a bit more coffee, IMO. IMO, too expensive for the quality. 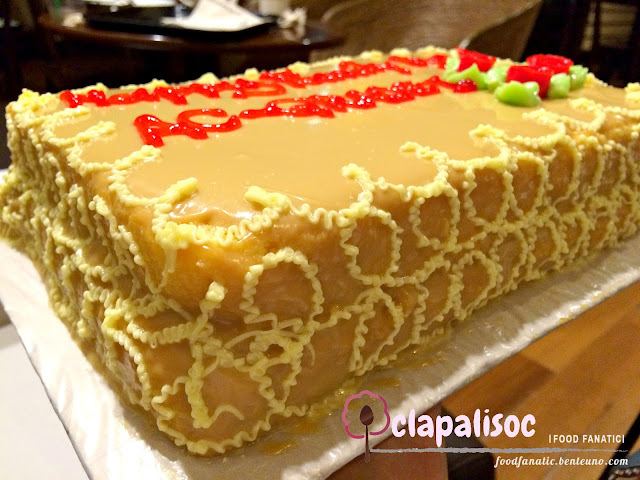 Caramel Cake can be a substitute to Estrel's only if you are really craving for some caramel cake and you can't get your hands on even a slice of Estrel's. I'm not losing hope though. Will try some of their other cake offerings next time. NOTE: They have a store in Bel-Air (see below) but you can usually catch them in SM Aura or Power Plant during weekend food bazaar. 3.5 out of 5 Stars for Costa Brava! Best Food Forward on it's 5th Year! All the Chops in One Stop! ChopStop! Online Finds Diary: Pavlova - I Kinda Love Yah!